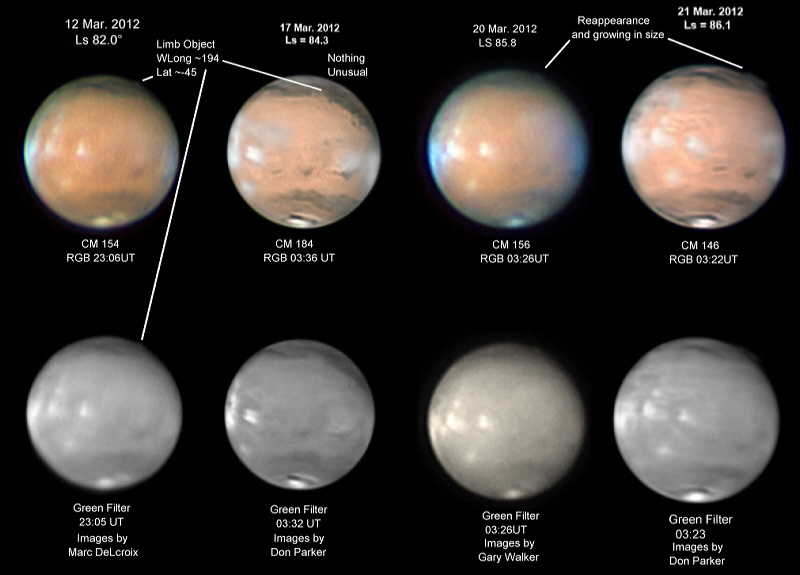 These 3 images show afternoon white clouds over all of the major Tharsis volcanoes. 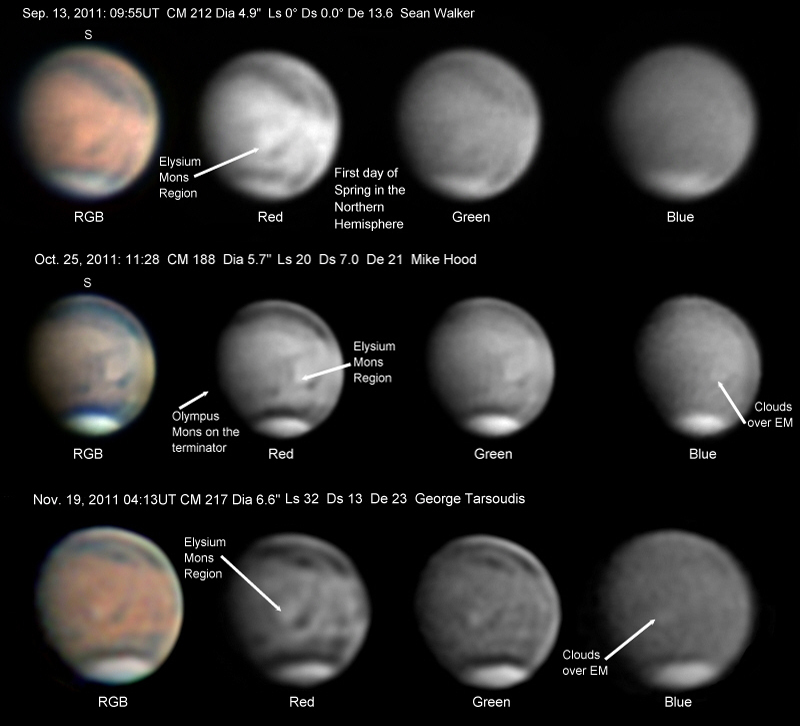 The first two were imaged a day apart while the 3rd was about one month later. During this period, clouds formed almost daily over volcanoes. 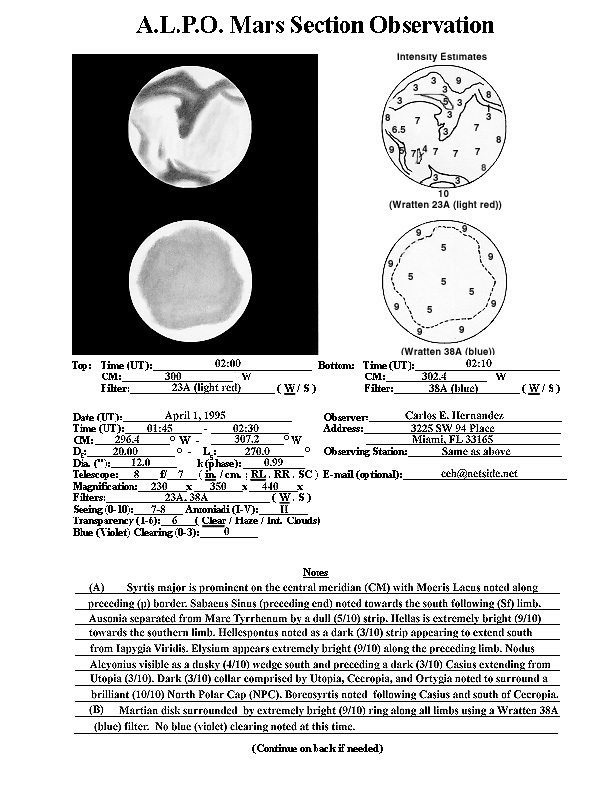 Note the dust clouds over the Southern perimeter of the North Polar Cap in the first two images. 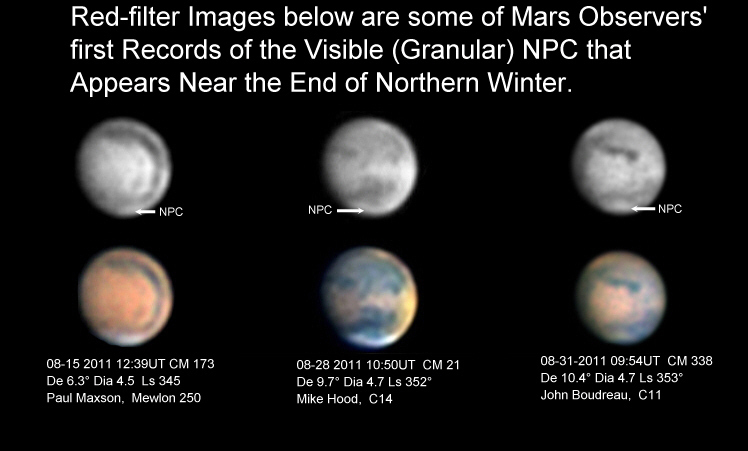 Winds that develop with the sublimation of ice drive the dust clouds and also produce the dark collar that surrounds the NPC. Also note the dramatic decrease in the size of the NPC in the third image. 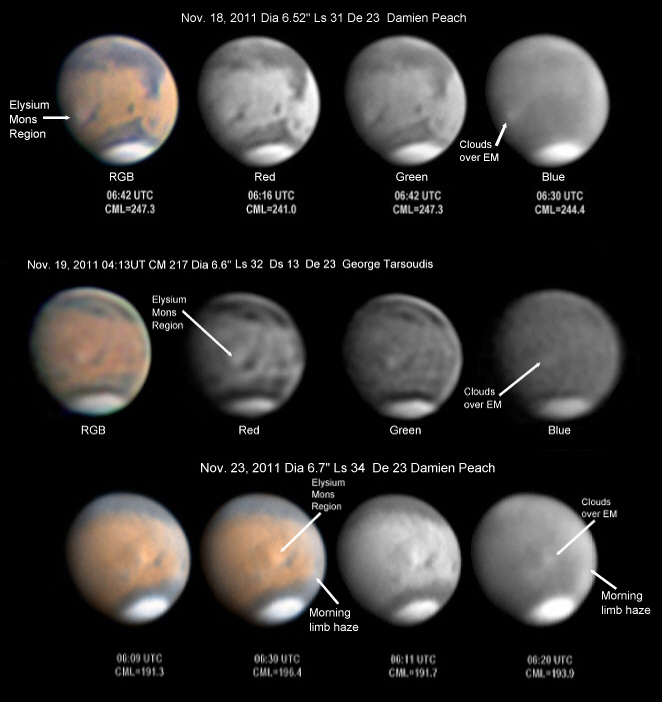 A cloud appears over Olympus Mons, the largest volcano on Mars near the center of each image. 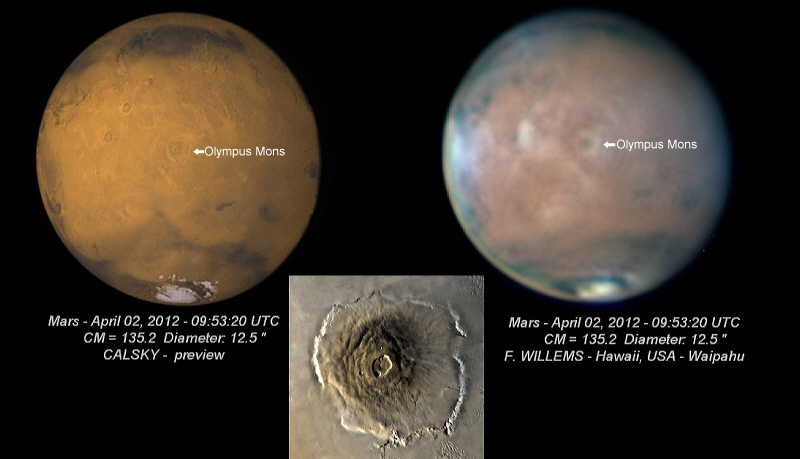 The conditions were perfect for Freddy Willems to image all of Olympus Mons including the caldera on the summit and the gently sloping apron surrounding the summit. The sun was nearly overhead and some white clouds had formed over the Western side of the apron. Everything matches the topographical map. 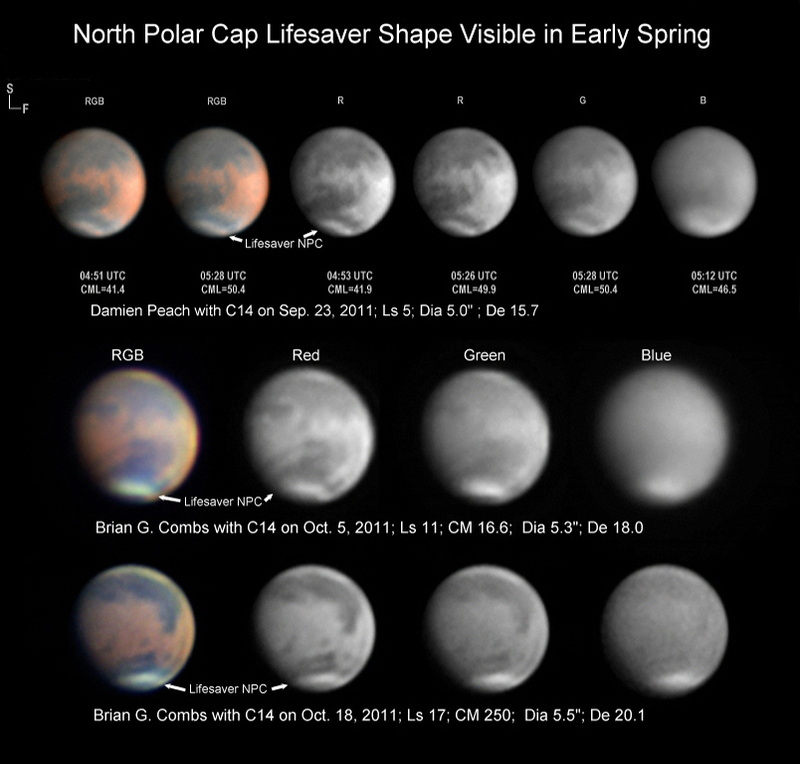 Mysterious feature on the Morning Limb recorded well by Mars Observers. 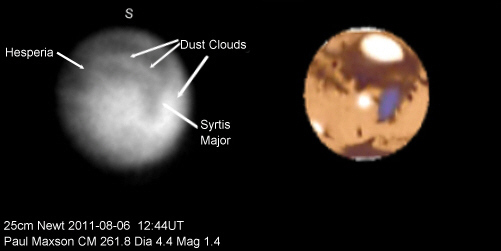 It could be the leading edge of an extremely large cloud of dust and ice being swept Eastward from the Hellas basin. 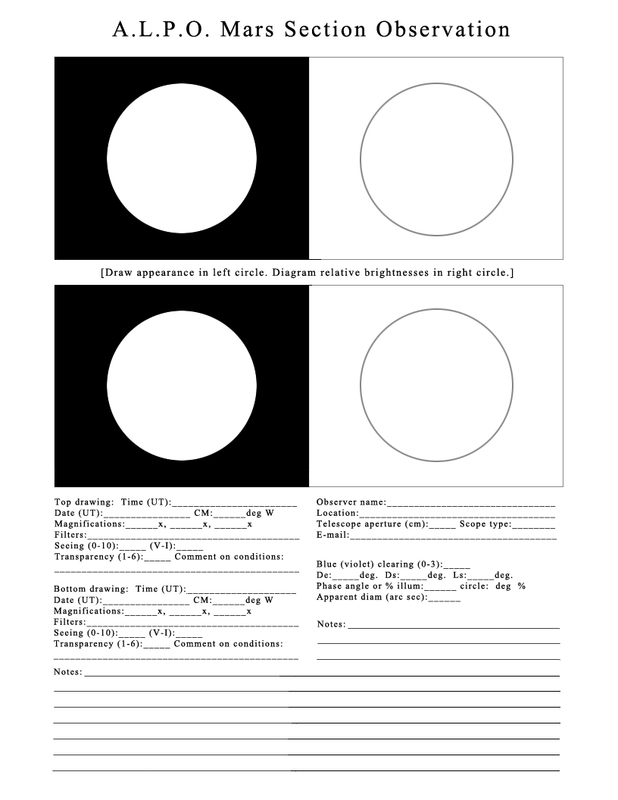 Variability of the size of the cloud could explain its varying appearance. Good seeing from Jim Melka. 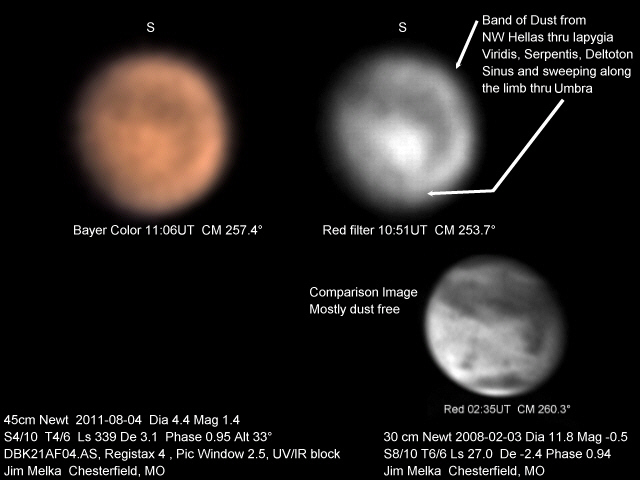 Paul Maxson’s Image on August 06, 2011 shows the Hellas dust cloud of August 04 to have spread Eastward as is the normal case. Jim Melka’s Image on August 04, 2011 shows a typical dust storm in Western Hellas. 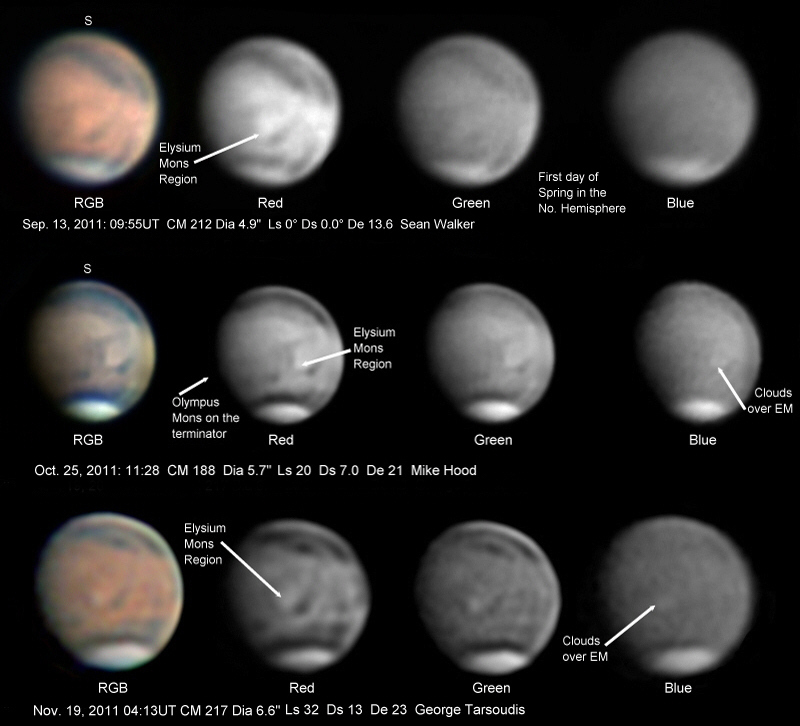 See the comparison Image to see Hellas as it usually appears when the skies are clear.